RAID levels are basically designed to protect against a disk failure and to increase the performance & reliability of data storage. RAID systems include two or more drives working parallel, due to which the redundancy keeps maintained and data loss can be avoided. However, that doesn’t mean RAID can’t get failed or never survive with data loss issues. If a RAID array gets failed due to logical or hardware reasons, it leaves the data unusable and corrupted. In order recover data from a failed RAID, one must have in-depth knowledge of RAID configurations, firmware, and software levels, else the recovery process will result in further data corruptions. Therefore, it is always advisable not to try RAID recovery until you are not aware of the complete configurations of failed RAID level. Professionally, most of the users prefer to go with the experts who can use their vast knowledge of RAID and can deliver a successful recovery. RAID is a highly sensitive technology used to store enterprise data; therefore, selecting a right data recovery provider is very important as many data recovery providers do not have enough resources or expertise to handle a successful RAID recovery. Stellar have been offering RAID Data Recovery services for 20 years and delivered successful recovery services for all possible RAID configurations available in the market. We have a team of experts with extensive experience in resolving complex RAID data loss disasters. Once you contact Stellar, Our data recovery representatives will let you know the estimated amount and time required to repair the disks along with data recovery and array rebuilding. 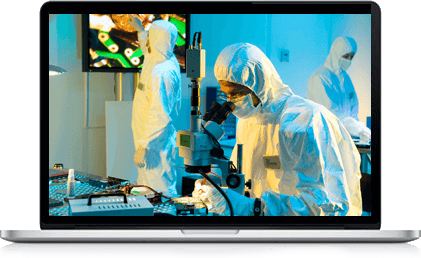 We have CLASS 100 Clean Room labs for accurate RAID Data recovery along with skilled and experienced technicians to restore lost data from all RAID array levels. Do Not Try To Rebuild RAID Array Unless You Do Know About Exact Cause Of Drives Failure. Do Not Apply Anything New On The Failed RAID Level Unless You Are Aware With The Used Configurations, RAID Levels, Controllers, Architectures, Hard Drives, And Controller Routines. Do Not Try Recovery Techniques Without Any Conceptual Knowledge And Expertise. Stellar Data Recovery has enormous familiarity with RAID recovery services and methodologies. We have an excellent track record of providing Data recovery services for even the toughest and challenging RAID failures cases.